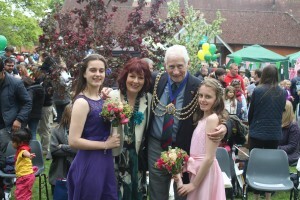 Thank you to everyone who supported the 2017 Banstead Village May Queen Day and made it a huge success. Reigate & Banstead Borough Council, The Mayor, All Saints Church, lots of local businesses, lots of national businesses, local school, Barry from Radio Marsden, all the volunteers who gave up their time and this year…Tim Vine…thank you for making this year another fantastic day. 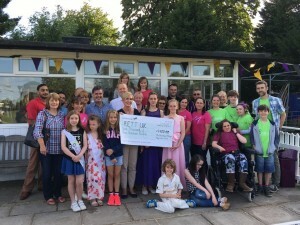 To date, we have handed over a cheque for the amazing amount of £9,900 to Rett Uk, and this money will be spent on a communication project which will enable young people with the Rett condition, to communicate with those around them through some very clever, but not cheap, technology…however, we think there is more money yet to come in and we will keep you posted of the final amount when we know for sure. 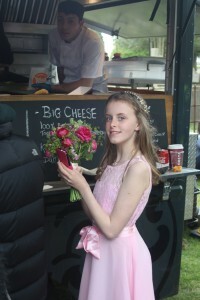 But for now…thank you for supporting the May Queen event; we couldn’t do it without you. Please save the date for next year: Saturday 5th May 2018. We hope to see you there!